Lake Okeechobee is a surprisingly big body of water. The trip across is about 22 nautical miles, with a few sections being out of sight of land for a few minutes. Usually it is a calm, easy crossing. Sometimes it isn’t so easy. 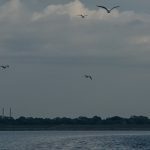 We have seen six foot waves that broke over the bow of the boat and into the dinghy – especially scary to us since there are no other boats around and we are well out of cell phone range. This year it was peaceful with a light breeze, lots of birds, and no real wave. Lake Okeechobee is surrounded in many areas with a man-made rim route. This canal permits travel when the wind and waves condition makes the lake to rough for boats like ours. 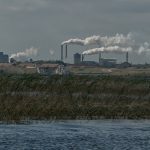 After crossing the main body of the lake, we entered the rim route at Clewiston. 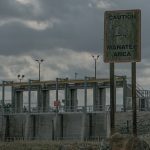 Clewiston is protected by a lock, normally open, that is used when high water threatens the town. This year the protection lock was open. Last year it was closed since bad weather was threatening. Just after Clewiston there is a lovely miles-long park on the land side of the rim route. We frequently see picnic couples, bicycle riders, and hikers walking along the waters. We admire them, they admire us. 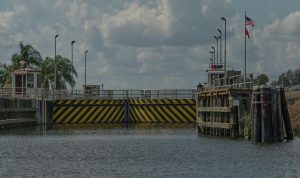 The main leg of the rim route ends at Moore Haven where a lock begins the process of dropping the water from the lake back to sea level in the Gulf. 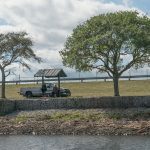 This stretch of the lake’s rim is home to a number of Manatees who winter over in the relatively warm lake waters and travel North toward Kissimmee for the cooler and cleaner waters in the warmer weather. Moore Haven was a major sugar terminal during the pre-train era. The city is quieter now with several sections showing signs of a ghost town and no real tourist industry to pick up the slack. The major attraction for us is the lock. This marks the end of the open water portion of the trip and the beginning of the true South part of Florida. 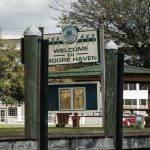 There is typically a several feet drop in the Moore Haven lock. 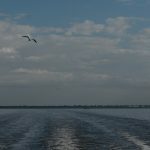 Locking through is one of the more interesting parts of traveling across Florida by boat. 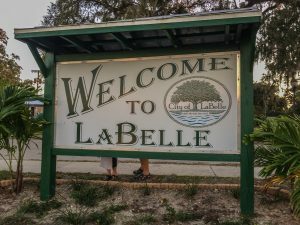 LaBelle is a lovely town that is well on its way toward adapting from sugar to tourists. 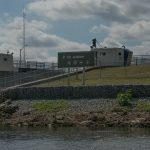 They provide a free dock with electricity, water, and police protection, a library with Wi-Fi and books (remember them), and several places to enjoy dinner and a long walk in a nice town. 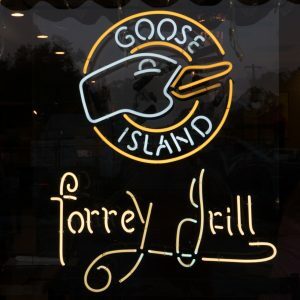 We choose the Goose Island Forrey Grill for dinner. 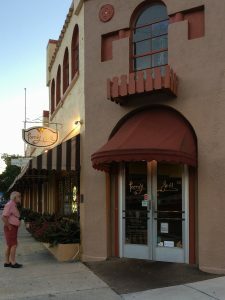 If you happen to be in LaBelle, stop in – you will enjoy the dinner. 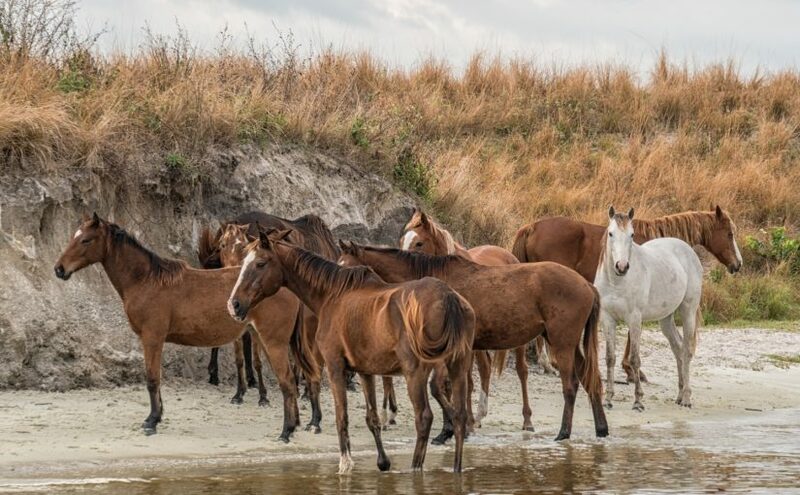 There were horses grazing at the side of the waterway during this leg of the trip. 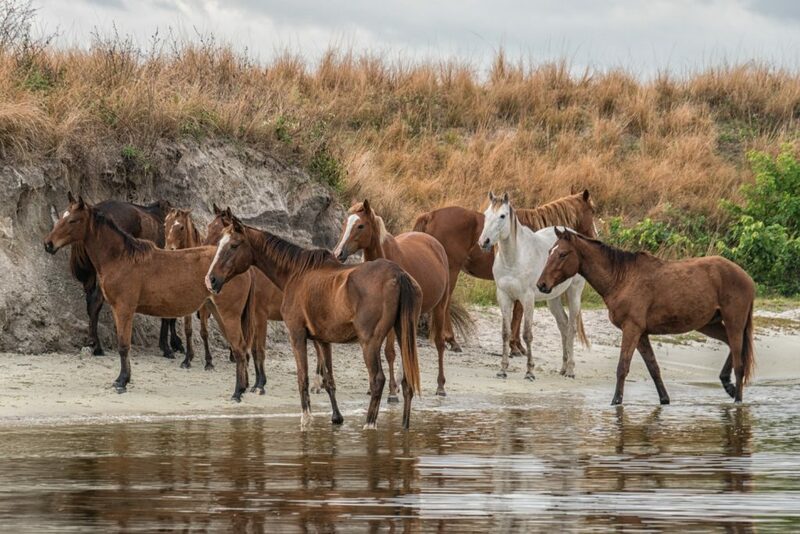 It is hard to imagine what a horse thinks about when they are busy eating all day. But, I suppose at least a few of the think about how lucky there are to be in this place at this time.